The year 1976 marks a great year despite the emergency issues faced by the country. The Maharashtra Government was able to pass a historic piece of legislation which could make casinos in the state a possibility today. The Maharashtra Casinos Act, 1976 was a visionary bill passed by the Maharshtra Government which was supposed to override the provisions of the age old Bombay Prevention of Gambling Act, 1887. However, till date, the Act has not been implemented by the executive. The Act gave the power to the state government to grant licenses to casinos and in turn legalize casino games. The Act was passed to increase revenue of the poor state through tourism and taxation. It was to come into force by a notification by the government in the official gazette. No such notification has been passed and the act sadly remains buried in archives till date. It is understood that if the legislative has passed a law, the executive cannot ignore the intent of the legislature by not notifying the act. 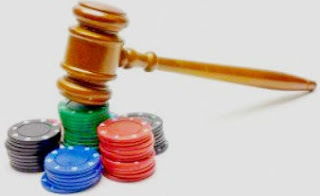 The inaction of the executive to implement the Maharashtra Casinos Act is in direct conflict with the structure of the constitution which empowers the legislature to legislate and the executive to implement such legislation. The Supreme Court in D.C. Wadhwa vs State of Bihar held that a constitutional authority cannot do indirectly what it is not permitted to do directly. It is the legislature's exclusive mandate to legislate and it cannot be undermined by the executive by delaying the enforcement of the Maharashtra Casinos Act, 1976 for so long as to frustrate it. By not implementing the Act for more than 38 years, the executive has ignored the doctrine of separation of powers. Several courts have come down heavily on governments for not notifying legislation and applying its mind for several years despite clear legislative intent. In Aeltmesh Rein vs Union of India, the Supreme Court directed the central government to consider the question of issuing notification, bringing into force Section 30 of the Advocates Act, 1961, which was passed 27 years earlier. In Aishwarya Freight Carrier vs Union of India, the Madras High Court issued a writ of mandamus to the central government to consider whether a notification should be issued to bring into force the Hire Purchase Act, 1972, which was passed 30 years earlier. The discretion given to the executive to bring into force an act or legislation at a later date does not include the choice of never bringing it into force. The executive is under an obligation to keep the matter under continuing review. Gambling is currently a criminal offence under Maharashtra Prevention of Gambling Act, 1887, and many are facing criminal prosecution for the same. Under the Maharashtra Casinos Act, 1976, gambling in licensed casinos was envisaged to be legalized 38 years ago. Individuals are suffering criminal prosecution due to the inaction of the Maharashtra Government. A petition was filed recently and the High Court asked the Maharashtra Government to decide whether to implement the act. A legal casino might just be a possibility in the near future. "The above article was written by Samyak Gangwal, a law student of Jindal Global Law School."